Mark Evans has this to say “We really are spoiled to have a real, purely natural linden blossom flower extract available for us to use now. 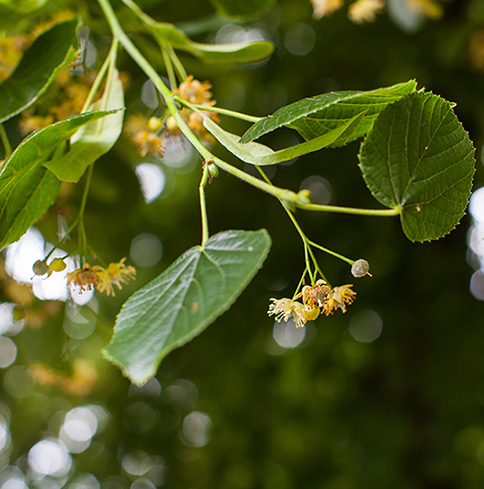 This linden blossom CO2 extract is an enchanting delight with an odour profile that is the exact replica of the flowers themselves blooming on summer linden trees. The fragrance is deeply narcotic and floral with incredibly rich facets of warmed beeswax and honey, pollen and tea. But that’s just the initial impression, beautiful as it is. Keep smelling the blotter and there’s notes of tonka bean, violet leaf and chamomile as well as a burning heat, somewhat like chicory. The overall effect is dense and complex, thickly sweet and yet also bitter.